Suzy Clapp left in 1992. “Since leaving Burgess Hill Girls life has been pretty busy! From a very early age I always knew I wanted to be a PE teacher. Sport played a big role in my life at school and I loved being part of a team, building new friendships and enjoyed the competitive edge. So the natural progression was to go to university and study PE & Sports Science. After four very enjoyable years at St Mary’s University, Twickenham I graduated with BA (QTS) gaining a first class honours degree. During this time I had experienced the bug for travelling and had thoroughly enjoyed visiting and spending time in Central and South America. It then came apparent that I really wanted to start my teaching career abroad and New Zealand was always high on my priority list. So I lived and worked in New Zealand for a year and taught at a wonderful school, St Andrews College, Christchurch. Once my visa expired I returned home to complete my NQT year which I completed at Sackville School. I had two happy years there but felt I needed more of challenge and a PE teacher post came up at Burgess Hill Girls. Thirteen years later I am still here and thoroughly enjoying my job! 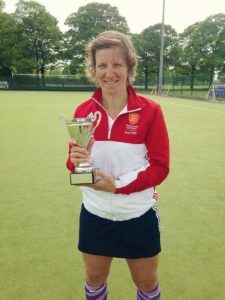 I have since taken over as Director of Sport as Mrs Laybourn was promoted to Deputy Head and is now currently Interim Head. Mrs Laybourn was a really inspiring teacher when I was a pupil and had a huge influence in my sporting success. I was lucky enough to play seven County, two Regional and one National but a lot of this was down to the opportunities I was given by the school. The commitment, dedication and enthusiasm from the PE staff and Boarding Housemistresses were incredible. This gave me the necessary skills and confidence to develop as a sports performer. Naturally I could not maintain playing a high level in a number of sports and so Hockey became my passion. Playing sport has always brought a release away from work as well as the opportunity of making new friends. 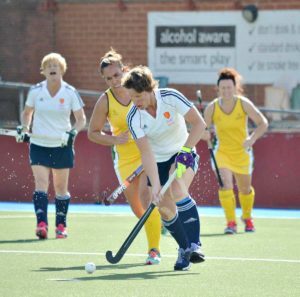 As I write this I am still heavily involved with playing at Horsham Hockey Club and more recently during the last two years have gained selection into the England Masters Squad. I am currently training hard and will represent England at the Home Nations, Dublin in June and the European Championships, Holland in August. I absolutely love training, pushing my body to the limit and love that competitive edge.